Tired of the same old Valentine’s Day routine? 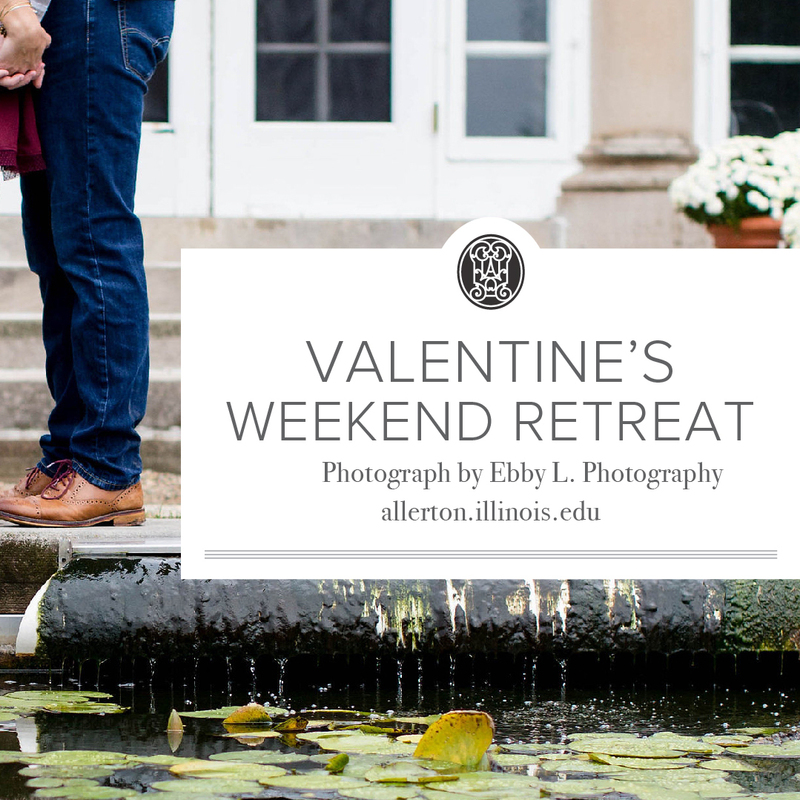 This year, let us do the planning and make a reservation for a weekend getaway at Allerton! Friday’s Dueling Pianos show (7-11pm) is perfect for a night of dancing with your sweetie or a group of friends. Enjoy passed hors d’oeurves and a cash bar as the all-request show entertains with classic sing-alongs and high energy dance tunes. Saturday morning, guests staying the entire weekend will enjoy scones and mimosas delivered to their room, and Friday-night-only guests can purchase breakfast directly from the Greenhouse Café. Get moving with yoga or a hike, cuddle up by a fire in the Mansion, or check out Monticello’s quaint downtown and many area attractions. Saturday evening, enjoy the elegant ambiance of the Mansion with a romantic dinner in the Carriage House at 6pm. (Complimentary wine; cash bar available.) Tables will be set for two, but if you are attending with a group for dinner Saturday night, or have dietary restrictions, please email Jordan at jmgiffor@illinois.edu to make arrangements. On Sunday morning, venture over to the Greenhouse Café for breakfast (at your own expense), or sleep in and enjoy a late checkout at noon. Choose the registration option that works best for you! Weekend Package: $120/person (Dueling Pianos, hors d’oeurves, Saturday morning mimosas & scones; Saturday dinner, complimentary wine). Lodging is available on Friday and/or Saturday night for $80/night. Please call the front desk at 217-333-3287 to make your reservations.